Managing your Project Spend, controlling your budgets and having insight into your project profitability is key to delivering a successful project. Hub Planners Billing Rates Extension functionality provides just that toolset and allows you to take full control of your Billing Management. External rates are most commonly used as customer facing rates. Assign external rates within a project, resource or a booking. This rate is then used to calculate a project total spend which you can bill your customer or client. Internal rates are a great way to measure your project or resource profitability. You can essentially define how much a resources internally costs your business. Directly compare this spend with the external spend and quickly see how much you are gaining. 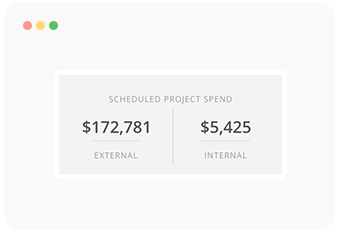 Real Time Updates on Project Spend as you Schedule. 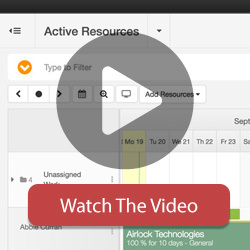 The single project scheduler view comes fully loaded with a Project Billing Dashboard. 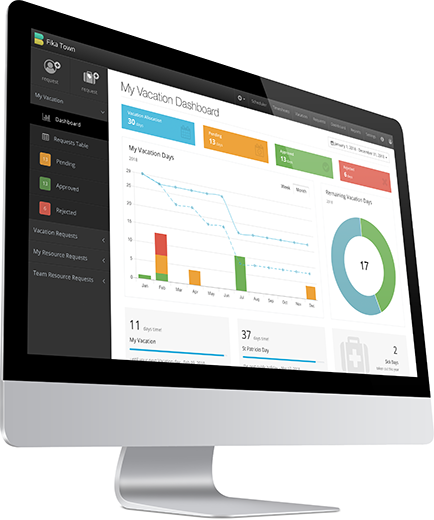 This billing dashboard allows you get gain valuable insight into your project spend and budget as you schedule your team across the project. If you are going to go over budget either on hours or financial budget then the text will turn red to highlight the change. If you are using our Timesheets extension you have the ability to include the actual spend as a metric in the billing dashboard. 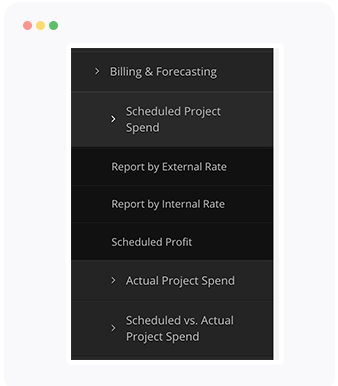 The actual spend uses data that is reported by the team in their timesheets and allows you to compare valuable metrics about how much has been scheduled against how much as actually been done. With the Billing Rates Extension installed you can set the rate of an individual booking which is the lowest level in the hierarchy. Doing so you can essentially override the cost of a piece of scheduled work to be something other than the rate it has inherited. The flexibility here is really useful as it allows you to set non billable work on specific pieces within the project, or add an alternative rate without affecting the rest of the scheduled time. The following table displays the hierarchy of the billing rates and how they are used in the system. The same hierarchy applies to both Internal and External rates. You can add new resource rates on projects if they change. This allows you to change the rate of a resource during a project without losing the historical information on the legacy rate. This can be useful if you change what you are billing a customer in the middle of a project, or if a resource or freelancer now change their rate, you can accomodate the change seamlessly. There are 2 metrics which you can use to determine the profitability of your projects or resources. Using the comparison of External rate versus Internal Rate allows you to see the spend in terms of what the customer facing rate is and what the internal costs are for the project or resource. You can extend this comparison by also by reporting on what the project was scheduled in for both internal and external rates, but also comparing that to what the project was actually completed by with timesheet data for both rates. For all project managers with a keen eye on the budget and spend, this will give some key metrics that will be invaluable to the success story of your team and projects. To install the Billing Rates Extension, login to your account, navigate to settings and choose the manage extensions page. Find the extension from the list and follow the installation steps to try or buy the extension. If you do not have rights you should have the option to request this extension to be installed by an Admin with rights. Once installed you can start to configure your rates. The extension license is based on a resource license cost per month or year. Please login to your account, navigate to Settings -> Extensions to get a cost quote in your local currency. For more assistance on this Extension, please view the reference section.